Home » Automobiles-Cars » Koenigsegg Agera RS vs Bugatti Chiron: Battle of Blazing Speed! Hypercar market is an incredibly tough competition where every single car is purely insane. It is also where every manufacturer brings out their best innovation efforts for these tremendous speedsters. Of course when talking about “speed”, Bugatti Chiron will always come out on top as the fastest car in the world. But besides the legendary Chiron, there are many other heavy competitors and especially, Koenigsegg Agera RS. How do they fare in “combat”? Let’s find out: Koenigsegg Agera RS vs Bugatti Chiron: Battle of Blazing Speed! The pride of Bugatti: Bugatti Chiron, or also known as “the fastest car in the world”, has been the dream of many car enthusiasts. Bugatti Chiron is the successor of the legendary Bugatti Veyron which used to rock the entire car community. Back to the day, the Veyron was highly praised, for example it got the title Car of the Decade and best car award (2000–2009) by Top Gear. In addition, Guinness World Records recognized the Veyron’s Super Sport version as the fastest street-legal car in the world. Yet such a great shadow from Veyron couldn’t stop the march of the power centaur Chiron. Bugatti Chiron totally broke every expectation with its tremendous power, especially in terms of speed. In 2017 IAA, Bugatti Chiron became the world’s fastest car with the incredible feat of finishing 0–249–0 mph (or 0-400-0 kph) record within 41.96 seconds within 2 miles of span. The Chiron is basically… phenomenon and it still is to this day. Koenigsegg Automotive AB is extremely well-known for their innovative design in every model, and of course, Koenigsegg Agera RS is no exception. 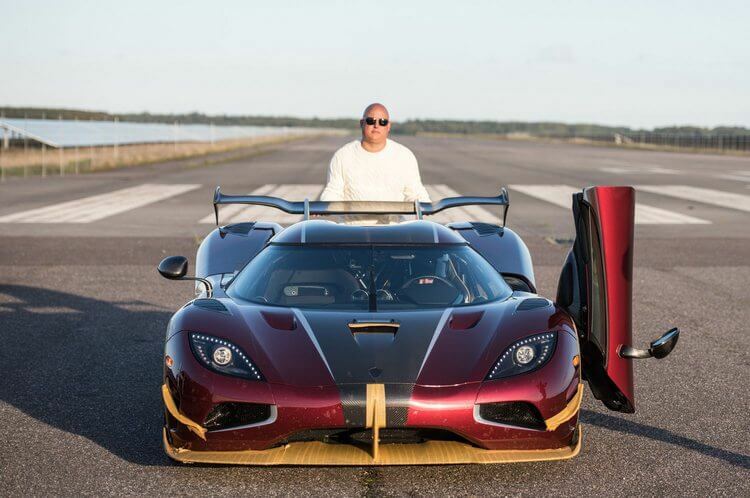 The Agera RS is the latest member of Koenigsegg Agera family, including Koenigsegg Agera, Koenigsegg Agera R, Koenigsegg Agera S, and the legendary hypercar Koenigsegg One:1. 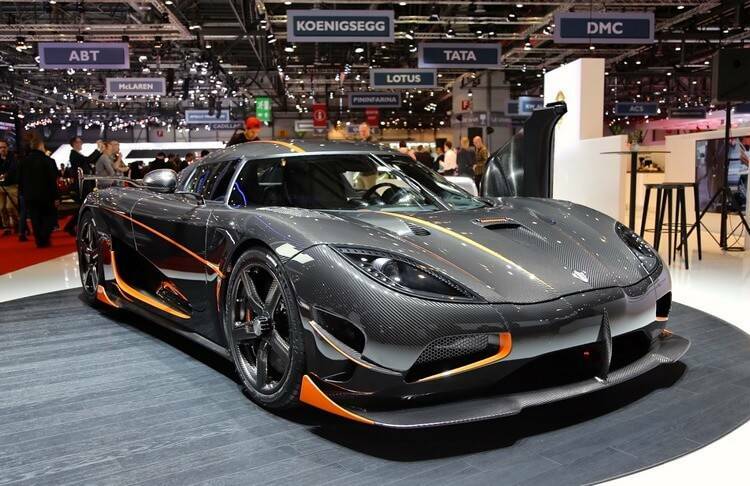 It was first introduced in Geneva Motor Show 2015 as the enhanced version of Koenigsegg Agera R.
This incredible Koenigsegg is the combination of many successful features from Koenigsegg Agera R, Agera S, and even the Koenigsegg One:1. Since the Agera RS was built with the aim to become “the ultimate track-er”, it includes lots of features for lightweight and track technology. The Koenigsegg Agera RS also has achived an incredible feat, which we will definitely mention later. There were only 25 Agera RS units were built and each could be customized by the owner. Some of the customized Agera RS versions are: Agera RS Draken, Agera RS Gryphon, Agera RS Naraya, Agera XS, Agera RSR, Agera RS1, and Agera RS ML. And now that we have taken a look at both super beasts, let’s put them into battle! For the engine, Bugatti Chiron possesses the incredible 8.0-litre quad-turbocharged W-16 engine which gives the Chiron an insane horsepower of 1500 and 1180 lb-ft of torque. It can exceed the max speed of 261 mph and it is expected to surpass 270 mph. 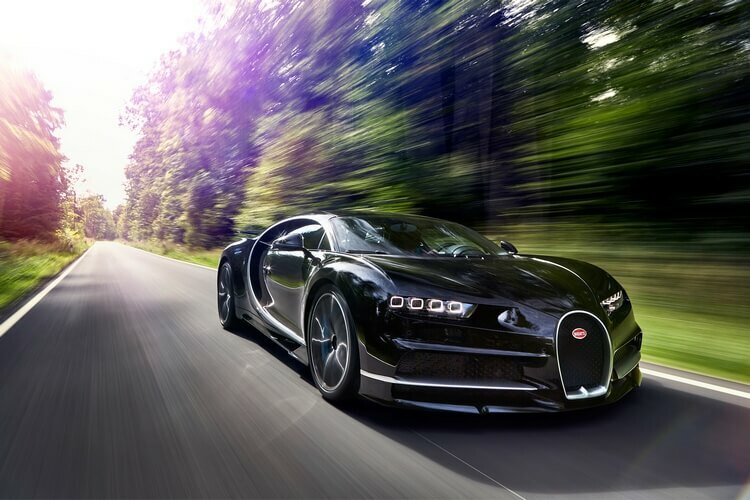 In terms of acceleration, Bugatti Chiron takes 2.3 sec to burst from 0 to 60 mph, and 4.8 sec from 0 to 100 mph. 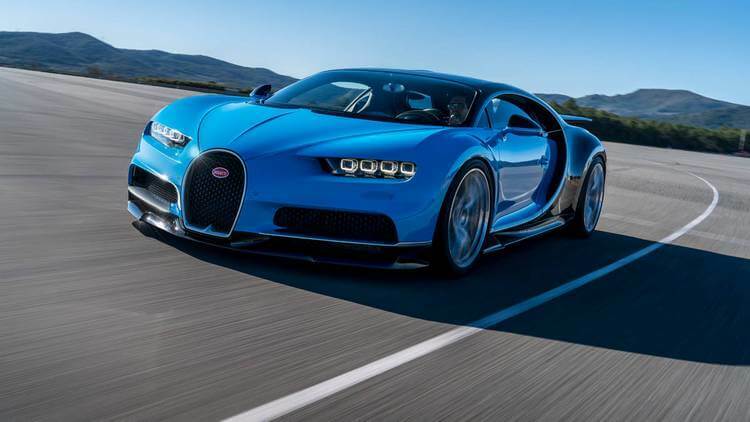 As mentioned, the Chiron finished the 0–248.5–0 mph record within 41.96 seconds, making it the world’s fastest car. However, there is an incredible change, specifically with Koenigsegg Agera RS. The Agera RS uses 5.0-litre Koenigsegg twin turbo aluminum V8 engine, giving it 1,160 horsepower and 940 lb-ft of torque (or 1360 horsepower and 1,000 lb-ft of torque with 1 MegaWatt package option). It takes about 2.9 sec for the Agera RS to boost from 0 to 62 mph, and about 6.9 sec from 0 to 124 mph. If we base purely on the 2 cars’ stats, the Agera RS seems to be a bit inferior in terms of speed. But what makes the Agera RS special is its enhanced aerodynamic. At 155 mph, Koenigsegg Agera RS produces about 450 kg of downforce. Its power-to-weight ratio is 1.19 kg per horsepower, and it is 1.03 kg per horsepower for the 1 MegaWatt upgrade option. So the big question is: Which one is faster? We’ve already known that the Chiron finished 0–248.5–0 mph record within 41.96 seconds, making it the fastest car in the world. But surprisingly, this record was just broken recently with the newest result from Koenigsegg Agera RS at an air base in Vandel, Sweden on October 1, 2017. The wraith of Koenigsegg completed 0-400-0 kph within 36.44s seconds, which is 5 seconds quicker than the raging centaur Chiron. This is quite a shocking news since according to each car’s statistic, the Chiron clearly surpasses the Agera RS in terms of horsepower and acceleration. However, the Agera RS still “somehow” managed to be 5 seconds quicker than the Chiron’s record. So far, Jason Fenske (from Engineering Explained) theorized that the Chiron had the advantage from 0 to 300 kph over the Agera RS. But from 300 to 400 kph, the Agera RS gained the upper hand since the Chiron’s air brake took 0.8 sec to deploy. While 0.8 sec may sound trivial, but when moving in super-fast speed, this number is incredibly significant. Also, the aerodynamic could play a vital role since the Agera RS is much lighter than the Chiron, resulting in much higher power-to-weight ratio. Now in terms of driving feel, Chiron seems to have better sensation than the Agera RS. Based on Jason’s explanation, The Chiron has more consistent and generally higher G-Force throughout the drive, creating a sweet consistent feeling when driving in high speed. On the other hand, Agera RS has a bit of trouble from 0 to 100 kph. Its overall G-Force is also lower than the Chiron even though it could catch up with the Chiron from 200 to 400 kph. That said; it is hard to compare the Chiron and the Agera RS in terms of handling since both are excellent. The Chiron’s strong point is its powerful driving sensation. It is so… wild, so insane that the Chiron’s drivers often feel speechless, like there is no word to describe. Every notion on Chiron feels like being as one when driving, thus making it feels too incredible when riding this ferocious beast. Whereas, the Agera RS inherited the outstanding handling from the Agera R, making Agera RS incredibly fun to drive. In terms of appearance, Chiron follows with the traditional Volkswagen design with various tweaks to make it shine as a true hypercar. Another big step from the Veyron is that Chiron uses full carbonfibre body-kit, making about 1996 kg. All of these features give Chiron a solid and awesome exterior design. Now comes to Agera RS, the Koenigsegg’s wraith utilizes the carbonfibre chassis with aluminum honeycomb. It has an extremely exotic look and definitely unique to the Koenigsegg brand, especially with its alluring “front eyes”. The strong point of the Agera RS is no doubt its extremely lightweight of 1395 kg. This allows the Agera RS to gain a power-to-weight ratio of 1.19 kg per horsepower, and especially 1.03 kg per horsepower with the 1 MegaWatt enhancement. Normally we don’t compare which car looks better in terms of appearance since it is mostly subjective. Personally we find both designs incredible to look at. However, those who prefer more exotic-type of design will probably go for Koenigsegg Agera RS over the Bugatti Chiron. 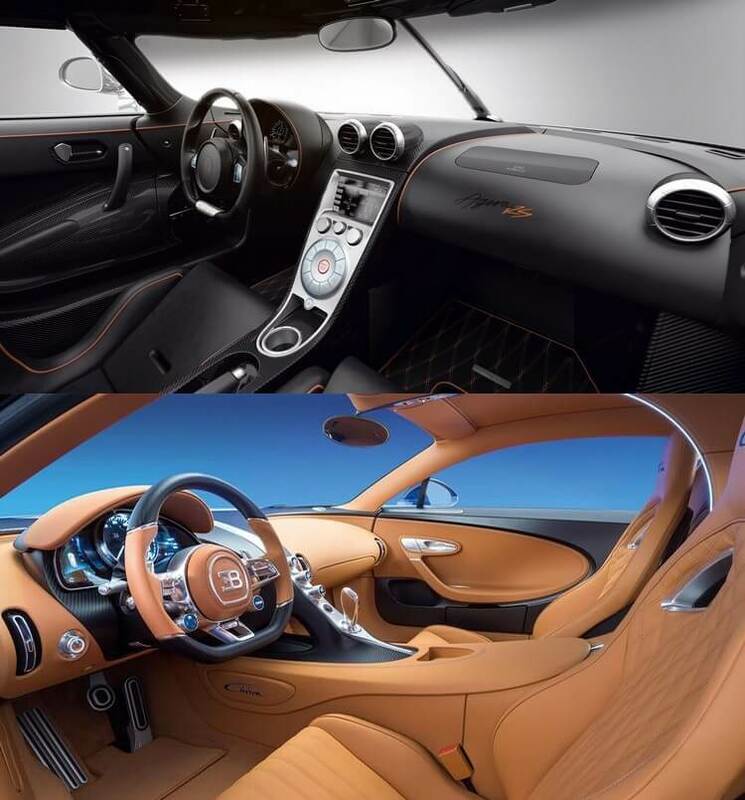 In terms of interior, both Agera RS and the Chiron seem to be equally incredible. The Chiron’s interior can be described as elegant and luxurious. On the other hand, the Agera RS follows more futuristic/modern design. Both cars provide comfortable seatings and they truly feel incredible when driving especially in high speed. For now, let’s say both Bugatti Chiron and Agera RS are quite in equal term. But if we consider the speed factor, Agera RS comes out on top this time with 5 sec faster record than the Bugatti Chiron. In terms of handling and driving feel, both have incredibly sensational handling. However, many people many prefer Bugatti Chiron better due to its consistent and “speechless” driving sensation. But what do you think? 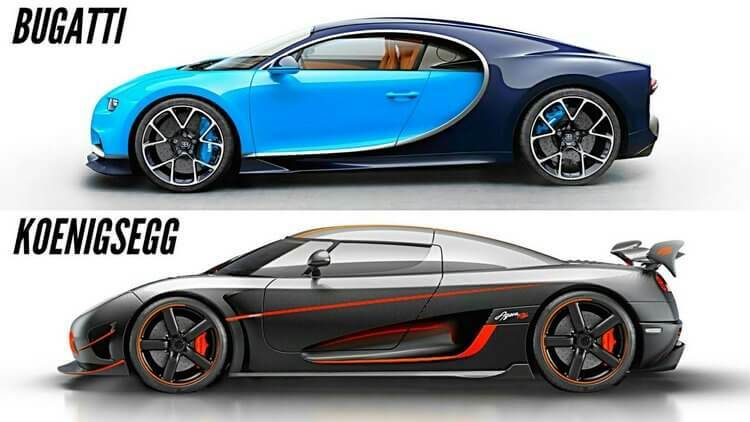 Which one do you prefer better: Koenigsegg Agera RS vs Bugatti Chiron? Feel free to share with us and for now, thank you and stay tune for more news in the future! Pingback: Tesla Roadster 2020 - The Future of Supercars?